up and coming team that will be bringing 4 cars to the track in 2014 to Ultra4 and Dirt Riot. Olympus finished on the podium in their first two starts if 2013. Olympus is a US based team included Owner and Team Driver Daniel Sach – Team Driver Keith Sach – Team Driver John Caughney – Team Driver Chet Kittle – Travis Decola Team Codriver and shop manager- Matt Parker Team Codriver –Samuel McIntyre Marketing Advisor and Jessica Folk Marketing Advisor. 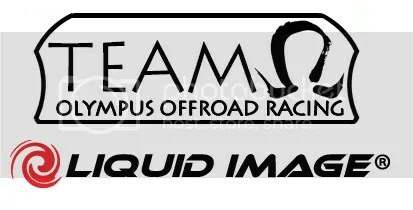 Look for the Olympus Vehicles running Liquid Image Cameras in the Ultra4 4500 – 4600 and Legends Classes as well as the 2014 Dirt Riot Series. John Caughney – Driver of Chronos ( Legends ) is currently deployed to Afghanistan.